It’s not entirely true that everybody loves bacon. It’s not even mostly true. But many people do love bacon, which might explain the popularity of the annual October Bacon Roast at Huszar. 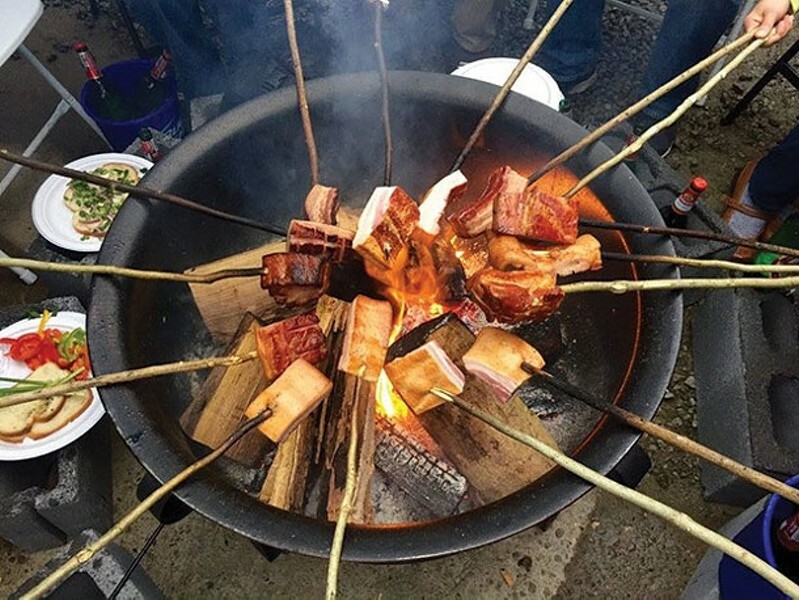 Attendees are afforded the chance to roast slab-bacon over open fires, then serve according to preference — though, recommended is on sourdough bread and accompanied by peppers, onions and tomatoes. (After all, this is traditional.) A shot of brandy and a Karlovacko beer is included alongside desserts and live entertainment. Really, we’re not sure what anybody would have against this party? Unless you don’t dig bacon. And, well, that’s your problem.